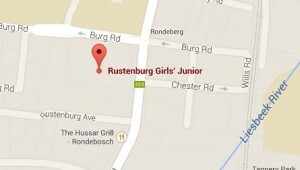 Rustenburg aims to provide resources and facilities of the highest calibre to support the educational programme of the school. All classrooms have Smartboards or other interactive whiteboard devices. Assistance is provided to teachers in the preparation of lessons using interactive technologies. The school wi-fi system has been expanded to facilitate the use of tablet computers in the classrooms. Classes from Grade R to Grade 7 have a weekly skills lesson in our Microsoft Windows-based computer lab. The hall is used for Physical Education lessons in the winter terms. In summer, the girls walk up to our pools complex at Grotto where they are taught swimming skills and to be confident in the water. Courts at school and at Grotto are used for tennis and netball. Hockey is played at Rustenburg Girls’ High School and at the UCT fields. A high emphasis is placed on the value of reading. Our well-equipped library is centrally located, and all classes from Grade R to Grade 6 have a weekly lesson in which they choose books to take home to read, and age-appropriate research skills are taught. Our well-equipped science laboratory offers the girls opportunities for hands-on practical work in all aspects of the Natural Sciences. Lessons in our art room provide opportunities for creative work in a wide variety of areas, and artwork is displayed around the school. Cookery skills are taught to the Intermediate Phase classes in our very popular cookery classroom. The girls learn to prepare and present a variety of foods. This is available for girls from Grades R-7, providing a safe environment after school hours until 18:00. Grades R-3 girls are accommodated in Conway House, our main Aftercare venue, while the older girls use the pink Den in the Grade 4-7 block as their base. Homework supervision is provided by Rustenburg teachers, so your daughter should be able to complete most if not all of her homework before she goes home. The lunch shop provides healthy snacks and meals on an optional basis. A form for pre-ordered lunch orders is sent out once a term, and other items are on sale at break. Parents volunteer to assist the convenor. Access to the school is controlled. 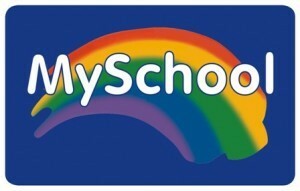 All visitors to the school during school hours, including parents, are required to report to reception. Parents who assist with school activities on a regular basis are provided with security tags.